For many school systems across the country, the arrival of online schools is an existential threat. In school systems where dollars follow the student, increasing enrollment in online schools means decreasing enrollment in traditional, brick-and-mortar schools. In our most recent editorial, we argue that school districts should get ahead of the trend: Embrace online education, especially models that blend in-class and online learning. 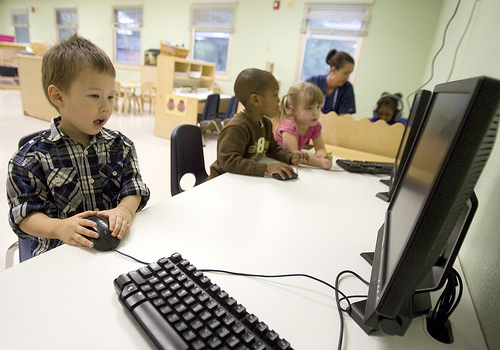 Today’s students are digital natives, and increasingly, so are today’s teachers. Maryland is behind the curve. In states like Michigan, which embraced online education more than a decade ago, students are allowed to take as many as two classes a year at any of the state’s online schools. By giving teachers and students blended learning options, Maryland’s districts will have a chance to embrace virtual learning before for-profit online charter schools, already adept at educating today’s students in their native digital language, begin to compete for students in Maryland as they are across the United States. If a virtual academy is run by the school system, not by an outside provider, the student, and dollars, stay with the school system. It’s a win-win-win. But only if our schools get ahead of the trend.